The UV Ballast Tester consists of the following parts. 1. 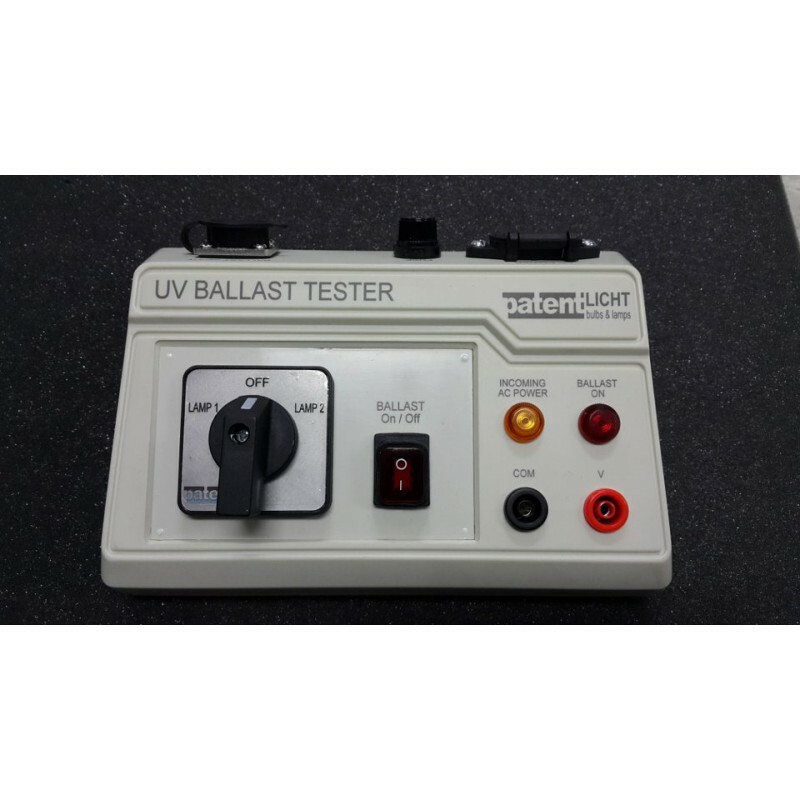 The UV Ballast Tester module. 2. AC power input cable. 3. AC power input cable (panel power source). 4. 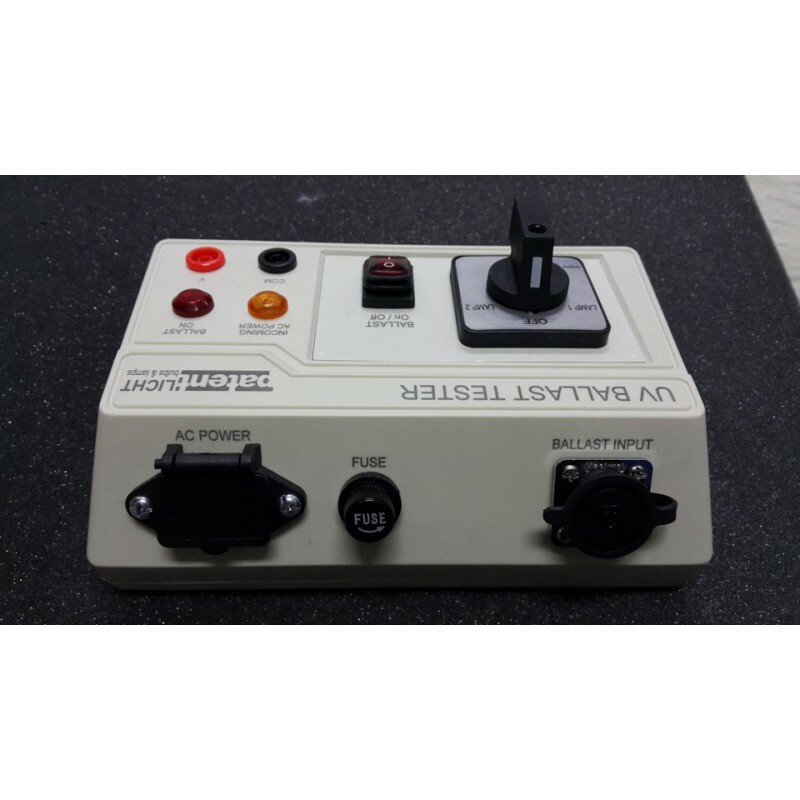 UV ballast to tester module cable (only for specific ballast). 6. UV tester module to Fluke 287 meter cables (red & black cable). Both readings on Lamps 1 & 2 should read above 600V. 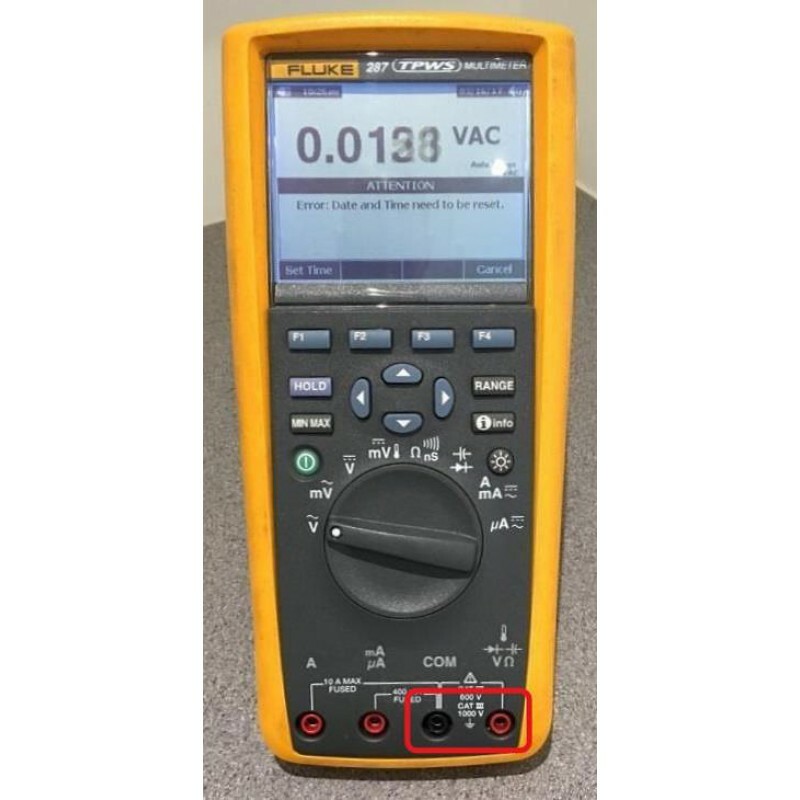 A reading below 600V indicates a failed test for ballast.